NuVera Online is a Social Virtual World created by two dedicated and friendly people. We are always working on new features for NuVera Online to continue making the virtual world fun and exciting. By giving us feedback you can help make NuVera Online the best it can be. We do listen to our users because we realize that at the end of the day NuVera Online isn't what we make of it... it's what you make of it. Decorate your free Personal Space using our easy to use drag and drop decorating tools. Place objects and furniture anywhere. Whether you are a 3D modeler, a texture artist, or you have an eye for colors and style, there are many ways you can be creative and benefit from the virtual economy. Becoming a developer means you can import custom 3D models and textures and earn a profit by selling your creations to other users. Hobbies & Crafting system. Use found materials to craft unique furniture items. 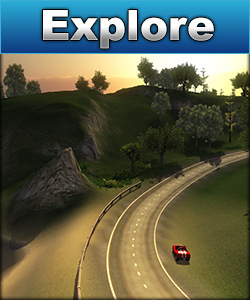 Explore around Tutorial Island and learn about NuVera Online through step by step guides. 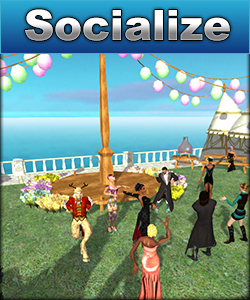 Interact one on one or in groups with your friends and those you have just met. Have club meetings and events with others from all over the world. NuVera Online is created by grown-ups for grown-ups. No kids allowed. It's client update time again and we have some great new features we've added in. Ever feel that Tutorial Island and Sunset Isle were a great place to explore, but it was just too quiet? Well we've added some ambient music tracks to those locations to make them a bit more fun and relaxing. We've also updated the advanced gizmo controller for decorating by adding a new planar transformation control. 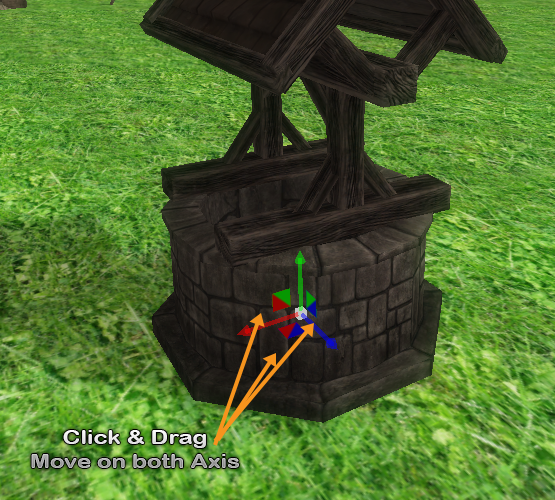 When moving objects using the movement gizmo there is now additional controls to slide objects around in two directions at once. This is great for moving objects around on flat surfaces. 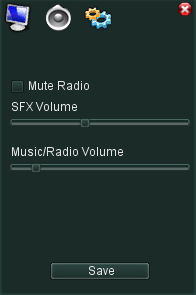 New sound options have been added under settings for Sound FX and Music volume. We've also fixed up that pesky issue with radio volume resetting when re-sizing the chat window. - Added crafting sound effects which play when crafting something at the Assembly Table or Micro Smelter. Client 1.6.5 has been released and with it levels 21-25 of the scavenger hobby including 10 new crafting recipes. Small patch release to fix up a couple of bugs as well as an update to the highlighting system when decorating. In this release we add levels 11-20 of the scavenger hobby, 15 new crafting recipes and the new iron ore resource. Once download is complete find and double click the downloaded setup program to start the installation of NuVera Online. It has been quite some time since logging in due to life commitments, but as far as games go this is great. I've never met a friendlier community. Always willing to help one another. VampireBoise and Danto are the closest owners to any end user in any game (virtual or otherwise) I have ever seen. Hope they get recognized for all their hard work! I love it. Ever since I joined, new things are being introduced that make me wanna stick around to see what's next. The community is exceptional! The first thing I noticed is how nice and welcoming people are, they take the time to explain things. You easily make a few new friends there. I think not many people know about Nuvera yet but I would greatly encourage them to check it out. Love NuVera. But no matter what, the download is 100% safe and always has been for years. 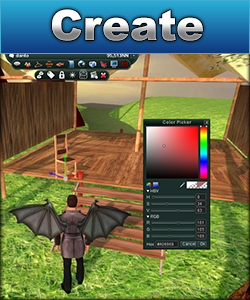 The current paid developer package allows users to import and sell custom 2D/3D content to other users. There are means of earning back the money invested in to the developer program. We are also currently working on another means of being creative inside NuVera Online by way of building blocks which will be a freely creative building experience. Hey wait... I recognize that avatar. Aren't you tpelham42 on the Unity forums? Who wants to spend the last seconds of NuVera in world as the server goes down? Anyone remember Sunset Harbor? Want a last chance to come visit our original favorite haunt? Come in world and we will invite you over.